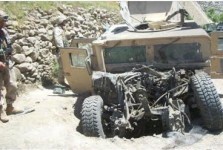 IED Attack on the Battalion XO’s Humvee. Kunar Province, Afghanistan. 12 May 2005.